The solid objects in the outer solar system are made, essentially, of nothing but water ice and rock. There are other minor components – and I spend a lot of my time trying to identify those minor components to learn more about the history of these objects – but at the biggest scale you can just think of water ice and rock and ignore everything else. The general idea of how to get large solid objects in the solar system is that you start with tiny solid objects, they coagulate, the newer larger objects coagulate, and the process continues until something stops it (Neptune was probably the culprit in the outer solar system). Big things are simply collections of smaller things. As trivial as this statement sounds, it is not true for all things in the universe. Big stars are not – in general – collections of smaller stars. Big people are not made of large numbers of small people. As far as I know. Because ice is light and rock is heavy (by which I really mean ice has a low density and rock has a high density), we can figure out how much rock vs. ice an object in the Kuiper belt has by measuring its density. Density is mass divided by volume, so we need both of these, but if we can measure them we get density and a measure of the rock to ice ratio. Every single object in the Kuiper belt with a diameter below 350 km that has a well-measured density has a density lower than ice. Every single object in the Kuiper belt with a diameter above 800 km that has a well-measured density has a density higher than ice, and often high enough to imply that the object is mostly rock. If you’ve been paying close attention, you might have realized that something fishy is going on. If it is true that the big objects in the Kuiper belt were simply made by collecting many of the small objects, how did the big objects get so rocky when the small objects appear not to be? It would be just as strange if I took all of the snowballs I made that first blizzard night, stuck them all together to make a really big snowball, and found that someone had slipped stones into the mix when I wasn’t looking. Even in space, ice doesn’t magically change into rock. So what is going on? For the last few years now, the only plausible explanation (and I think “plausible” is being a bit generous here) is that the small objects have just as much rock as the large objects, but they are fluffy, rather than compacted, much like those first snowballs I tried to throw. They have to be really fluffy if they have all of that rock inside of them and are still light (where again, by “light” I really mean “have a density smaller than that of ice”): more than half of their insides needs to be empty space. It’s not impossible, though. We have pretty good measurements of the fluffiness of small asteroids, which are mostly rock with little to no ice, and for objects smaller than about 350 km in diameter, asteroids can indeed be quite fluffy (the mathematical measure of fluffiness is porosity, which can be thought of as the fraction of empty space inside of the body). For objects bigger than about 350 km, however, fluffiness goes away quickly, because it is squeezed out by the force of gravity. Small asteroids might be able to hide empty space inside, but when the mass increases, the gravitational pull increases, the pressure on the inside increases, and all of that rock gets crushed down into the formed empty spaces. For objects of this size and larger, the density of the object is nearly just the average density of the material inside. What about the Kuiper belt? We don’t really know anything about porosity in the Kuiper belt except that the objects that have densities below that of water ice must be fluffy even if they have no rock. We do know that, in general, it is easier to crush the porosity out of ice than rock. Imagine, for example, taking a collection of ice cubes and squeezing until there is not space between the cubes. Now imagine doing the same thing except for gravel instead of ice cubes. It’s pretty easy to imagine that squeezing space out of ice is going to be easier. So even if there is significant porosity in the Kuiper belt, objects that are larger than 350 km probably have little and, like asteroids, are in the what-you-see-if-what-you-get range of density. Reviewing the facts, all Kuiper belt objects with sizes below 350 km have densities less than that of ice, but they also have the possibility of being fluff balls. All objects 800 km and larger have densities that require the inclusion of rock, and it seems unlikely that they have much porosity. So, did the small objects make the big objects, like we have assumed for the past 50 years, or not? The key lies in measuring the density of something in that middle range between 350 and 800 km in diameter -- an large enough to have little porosity, but small enough to show the true density of the smaller objects. One object is perfect for figuring this all out. The Kuiper belt object 2002 UX25 was discovered 11 years ago by Spacewatch on Kitt Peak. Its size was recently measured by a large team using the Herschel Space Telescope and found to be about 650 km in diameter; perfectly placed midway between the large and small objects. And, most critically, I discovered a satellite around 2002 UX25 a few years back. If an object has a satellite, we can use that the measure – quite precisely – the mass of the object. As you can imagine, a heavy object will cause the satellite to whip around quickly, while something light in the middle will have a satellite which circles in a more leisurely fashion. Determination of the orbit of the satellite and measuring its speed takes a while – we measured satellite positions from the Hubble Space Telescope a few years back and finally from the Keck Observatory last December. But, finally, now, we have a mass. And a mass, combined with the Herschel density measurement gives the density. And a 650 km diameter object in the Kuiper belt should have essentially no porosity, so, finally, we should be able to see if the smaller objects are really just super fluffy balls of rock and ice. 2002 UX25 and its satellite, from some of our images from the Hubble Space Telescope. I gave a presentation of these results at the 2013 meeting of the Division for Planetary Sciences of the American Astronomical Society in October. At this point in the talk I stopped and had the ~100 people in the audience guess what the density of 2002 UX25 was going to be. I gave them the option of (1) lower than water ice like the small objects (2) midway between the small and large objects (3) very rocky like the big objects. The votes were nearly evenly split. Evenly split! Often a group of experts kind of knows what the answer is going to be before you give it. Here no one really had a clue. Including me, I must say. Though, for the record, I voted (2). What’s your vote? And the answer is….. (1). The Kuiper belt object 2002 UX25 has a density smaller than that of water ice. In fact, 2002 UX25 is the largest solid object in the solar system which could float in water. If you could find a big enough body of water to float it in. As I explained to the audience at the time, this is such a startling result that everyone should currently be gasping. This answer begs an important question: WHAT IS GOING ON???? I can’t answer that for you. But I can give you options. First: perhaps 2002 UX25 is fluffy, after all. I find this extremely unlikely, not just because of the analogy with the asteroids but also because of what I learned early on in my snowball fight days: wet snow compacts easily. 2002 UX25 is large enough that it should have gotten warm during its formation. If its temperature raised any substantial amount, melting would have quickly destroyed porosity. Second: perhaps 2002 UX25 is an anomaly. It is the only object with a measured density in this range. If it is not actually representative all bets are off. We’ll only know by finding more objects of this size and measuring their density. The technical paper describing this work is being published soon in the Astrophysical Journal Letters, but you can read the whole thing right here in the mean time. Messing around with the google produced some interesting stuff on guest-free clathrates - unfortunately mostly to say that they're almost impossible to make. That's a very interesting result! Would you mind divulging some of your ideas for what could be causing this? Would the larger objects originally be formed somewhere else? And by the way, I looked for the paper on Arxiv, but couldn't find it there. In my field (cosmology), at least, articles are much more visible on arixv than on either personal homepages or in journals. Or am I just being too impatient here? Formation elsewhere doesn't work unless you can figure out where the small bodies they came from went. If incomplete models are half-baked would wild-eyed speculation be raw cookie dough? What if they formed elsewhere and were transported when the planetesimal disk still contained several tens of Earth masses? If they were delivered with significant eccentricities and inclinations collisions with the original population of the disk might eliminate the smaller bodies. ...and then the debris from the breakup of the intruders eliminates the small icy bodies. Oops,I killed the Kuiper belt. Well, that is an interesting phenomenon, but it can easily be explained. the moon around 2002 UX25 has a diameter of around 205 +-55 kilometers, and the asteroid has a diameter of about 680-690 kilometers. That means it is about 3 times the size of its moon. Another asteroid (1999 KW4) has a moon only 1/5th the size of it (Note: this is size, not mass.) The moon has such a strong gravitational effect on 1999 KW4 that the surface of it is changed so much that a sort of "mountain" has been created facing to the moon. This is just with a moon of a diameter 1/5th of it, and presumably a larger mass ratio (about 1/3.) Going back to 2002 UX25, this has a moon with a diameter of 1/3rd it, and a smaller mass ratio (again guessing.) Even if the moon had a fairly low mass, it would still be enough to have a gravitational effect on 2002 UX25. You can even see in the Hubble image that the satellite gives the asteroid a bulge around it. The center of it is not one, but 2 pixels. I'll bet that in a better image of it, it would show a more warped image of it, too. However, when it does get bent/warped like that, it will not gain any mass, so must lose some density, and that is what I propose is happening. This idea doesn't affect the rock vs ice theory, and makes sense fairly well. If you want a good, accurate representation of an asteroid within that size range, I would recommend an asteroid with no moon, such as 2002 KX14. I would love to measure the density of a moonless object, but, sadly, the moon is the only way we have of getting the mass. So we're stuck. Your suggestion must certainly be true to some level: the satellite is likely to deform the primary. But the sense of deformation is not the material is, essentially, lifted a little off of the surface, but rather you make an elongation much like when you see cartoons of tides on the earth. Luckily, the physics here is pretty simple so we can calculate the magnitude of the effect, and we can see that the density changes little in this case. Also, what you are seeing in the images is just distortions due to HST. Even if 2002 UX25 had a humongous mountain on it we would have no hope whatsoever of being able to see it with our observations. Too bad, though, as that would be awesome. 2. If you need a moon to measure an in-between object, why not one with a moon with a very small mass, such as 2003 AZ84 (moon of ~1/7th the size.) However, its moon was lost and as of 2012 is still not recovered, and there are no asteroids other than it in the 350-800 km zone with a moon less than 1/4th the size of the parent body. What if 2002 UX25 not binary, but triple? It's central body is close binary system. Two objects with high density, but as don't resolved, looks like one big object with low density. When the KBOs bigger than 800 km are formed via collisions of smaller objects, would the impacts have enough energy to get rid of enough volatiles so that the resulting body has a higher density than the ones that collided? Also, I was speaking with a friend the other day about the possibility of finding an Earth-sized object in the outer Solar System and I argued that a body like that would have a lot of ice in its composition. But now I'm not really sure how much, though. Do you guess it'd have as much water in its composition as, say, Europa? Less than Eris at least? That was my favorite hypothesis until these observations, and the reason I voted for possibility #2. The problem is, if objects the size of 2002 UX25 have nearly no rock, getting rid of volatiles doesn't do you any good! "2002 UX25 is the largest solid object in the solar system which could float in water"
According to http://ssd.jpl.nasa.gov/?sat_phys_par Tethys's density as 0.973g/cm^3. argh. Tethys. missed that one. Need to kill that moon. What causes Tethys to have such a low density? Saturn's moons are funny things. Their origin is still controversial, I think. Well, Tethys appears to have a large, recent crater on it, which would leave a large part of its interior molten. I'm not sure how that would affect the density, and apparently there is an undersea ocean in it, which later turned to mostly ice (leaving large bubbles, possibly?) in it. The ocean probably hasn't entirely frozen over, leaving parts of it full of water. Also, I've had a dumb question I'd asked myself since I was a little kid, and haven't been able to find an adequate answer to: What would a moon's moon be, is it even possible? If so, is there anything interesting it would have about it that other planets, minor planets, and moons, don't tend to have? Are Kuiper belt objects similar (in composition) to comets? Perhaps the icy bodies/comets that populate the Oort Cloud interacted with and therefore influenced, the composition of the other outer Solar System bodies. What if the volume (and therefore size or diameter) of icy objects is influenced by the size or formation of ice crystals that make up the object (fluffy verses compact/hard)? Perhaps via influence of Neptune or just the chaos of the early formation of the Solar System, projectiles of high density materials such as metal or rock became embedded in the softer ice or snow masses? A larger "target" (object) is more likely to be struck by "space shrapnel" than a smaller one, leaving the small objects in a (more) pristine condition. Once a snowball had been struck by a lot of hard or dense shrapnel, the increased gravitational influence of such a body due to it's greater mass/density may attract even more objects to it which would continue until there was no more material to collect in it's area. KBOs and comets are indeed the same. The interesting thing about KBOs that we see, though, is that they are hundreds of kilometers across and thus have significant gravitational compression on their insides. While you could get away with having a fluffy snowball sitting on the surface, the interior would still be quite compressed, and the overall porosity would have to be low. In response to Mr. Brown's comment about the origin of Saturn's moons, it seems peculiar that some of the IAU's definitions of a dwarf planet are "has not cleared the neighborhood around its orbit" and "is not a [natural] satellite." So how can ordinary planets such as Saturn not clear their neighborhood of lesser objects i.e. planets with such gravitational force should fling all bodies that come near it off into deep space (and not have moons). What conditions must be necessary for a planet or other body to collect objects (capture into orbit) rather than scattering them about the Solar System? If a large TNO drifted towards one of the gas giants, would they just bounce off it and drift away, would they be hurled off rapidly into space or would they be captured? Perhaps some moons were created out of materials that formed the primary planet? But it seems counterintuitive for a planet with great gravitational force to cast other bodies off; after all, it is the Sun that keeps the other Solar System objects from just drifting about; gravity is the force that pulls things towards the center. P. S. Skip the movie "Gravity," in this case it makes perfect sense to be repelled off into space. If the objects up to 2002 UX25's size formed directly from the disk as described here: http://arxiv.org/pdf/1004.0270v1.pdf would they start out colder? If colder means stronger they would be able to support a larger porosity. I note that Iapetus has the shape of an object with a rotation period of ten hours which I understand was acquired early and was preserved after its it acquired a thick crust crust as it cooled. Yeah, I wondered about that. You also get the advantage that there are fewer small objects to bash the porosity out with collisions (you want enough medium objects around to make the big ones - normally you'd expect even more small ones). Also, if there's lots of carbon monoxide, nitrogen, methane etc in there to start with, you don't need porosity at first. If the bodies warm up slowly (radioactivity, increasing heat from the sun) then the CO, N2, CH4 can quietly leave, giving you a nice big lightweight body. Hence my comment about clathrates above. Could it be that in the early process of formation there were objects with more rock in them and those with less, and that the ones with more rock were more likely to withstand the harder collisions, causing them to grow and melt in the process, making them less porous over time, while those in the other group would either undergo hard collisions and shatter, or would only grow by relatively soft collisions that would not melt them, leaving them more porous? Another question: it seems after 2007 no really big objects beyond Neptune were discovered. What's the reason for that? Are most objects in the mass range found, or are astronomers concentrating on other stuff, or did the criteria to publish a discovery get more difficult? 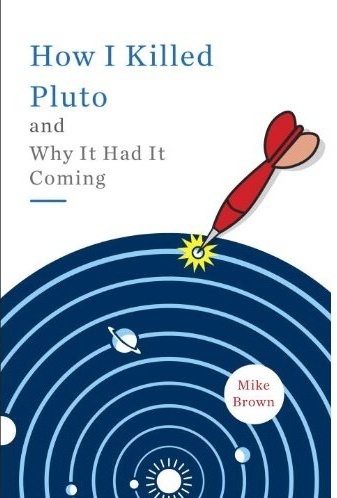 Almost forgot about this, Gonzalo Tancredi analyzed the light curves of a bunch of potential dwarf planets several years ago and concluded that2002 UX25 wasn't one of them. nice share mike !!! Thanks.. Good Job..
Let me try my personal theory! In the inner solar system apparently we had a long "stable" period, that allowed to the inner planets to grow and "clear the neighborhood around their orbit". Then about 4 B years ago, there was a disruptive "Heavy late bombardment". Maybe the same sequence happened in the Kuiper belt: there was a long period of stable growth of planetesimals resulting in several "large" bodies (Pluto or Eris-sized) that differentiated with a rocky core and ice crust and "cleared their neighborood" so that there was almost no material left. Eventually an event (the same that caused the HLB maybe) perturbed the "stable and safe" orbits of the large bodies resulting in several collisions; but somehow the average dynamic of these collisions (slow relative velocity) did not shatter completely the bodies but generated mostly debris from the ice crusts leaving the rocky core intact. Eventually the ice debris reassembeld as "rubble piles" and never had enough gravitational pull or energy from decaying radioactive elements to melt and become compact ice spheres. The only problem with that theory is that, when the Heavy Late bombardment happened, the asteroids hit the planets because they had a large gravitational pull towards them, but in the Kuiper belt, for one thing, the area is much less dense, so there aren't many small projectiles to fling around, and the bodies have nearly no gravitational pull except to immediately close objects. parameter, explaining the "unusual" nature of 2002 UX25. The history of KBOs and Oort objects fascinates me because I have long thought it likely that such objects may be remnants of objects formed in the early universe which may permeate the inter-galactic space as well, of course, as the intra-galactic or interstellar space. Which leads to my thought that these unusually dense KBOs (which may have cousins among the Oort objects) may have developed by mechanisms operating outside the solar system or outside either the Kuiper region or the Oort region. Just speculating; I neither live nor die on this totally unfounded speculation. I merely find it fascinating to ponder the history of various objects which may have survived several solar systems and lived to tell about it. Thank you for your time & bandwidth. Just another entirely baseless speculation about way out type objects. Given that the galaxies formed in a small time compared to the known lifetime of the observable universe, is the space between the galaxies empty ( except for rogue hydrogen atoms ) ? Could there have been a significant amount of material left over, after construction of the galaxies, which then evolved in some manner similar to proto-planetary or proto-stellar disks, eventually forming comets, asteroids, planetoids, gas giants, brown dwarf stars and Chevy Impalas? I vote for the Impalas. What was their big hit recording in about 1959 ? Oh, wait ! Weren't we talking about astronomy ? Well, at least, I thought I was. If that intergalactic space contained a large enough density of objects, perhaps that would be detected due to the resulting haze blocking our view of the galaxies or some of them or the ones sufficiently far away. So that seems to indicate that few such objects are out there. Way out there. But if intergalactic space contained rather large objects, perhaps the size of asteroids or of our gas giant planets, maybe those objects would not be visible [ assuming, for no logical reason, that there were a relative few of those larger objects ]. How could such things be existing, there in intergalactic space? Could stuff be gravitationally ejected from the fringes of galaxies, forming something like our Oort cloud objects or our Kuiper belt objects, which may be found around other stars in the Milky Way galaxy and which may be shared by nearby stars rather like the conduction band of electrons in an electrical conductor: objects with no legal home. Is this possibly a part of the missing 95 % of the mass of our universe? Perhaps 1 % of 1 % of the missing mass ? Just thought I'd ask. I have always been interested in the possibility of fairly large objects just wandering around completely unsuspected and uninspected, in intergalactic space. Just kinda fun to speculate about. You keep mentioning "water ice". Are there other volatiles which could be present in large, nonporous quantities, yet be lighter than water ice thus lowering the overall density? Or perhaps some allotrope of water ice that is stable at super-low temperatures and pressures? Ice already has many allotropes; another would not be much of a surprise. On the other hand, the "rocks" could be volumes of ice allotropes which are denser than water. I haven't (yet) found a phase diagram showing all the allotropes (Isomorphs) of ice, but at least some are denser. So above a certain pressure (planetoid diameter), the regular ice could be collapsing into Ice II or Ice III "rocks", which would increase the total density. Well, Haumea is football-shaped, so odd-shaped bodies are plausible. But if 2002 UX25 is a close binary, then there should be a considerable variation in its / their luminosity with time, according to the rotational / orbital period. More than you'd expect for a single body with two different sides. I should think that something similar to the programs which find planets around stars by luminosity variation, would make sense of this. If one body is eclipsed or occulted, then the total luminosity drops; and for two non-luminous bodies the change should be appreciable. And since it's probably a higher frequency than the orbit of a planet around a star, it would take a relatively short time to gather the data for the program. And if it is a single body, then the shape of the luminosity curve would probably be different from two bodies occulting, so that should be resolved as well.